To help you plan for the run, there is a count down to April 27, 2019 (start date). 8th Annual Freedom 5K Sponsors needed!! As a valuable member of our community, we would like to invite your business to be a part of our event. All proceeds of this event will go directly to maintaining and the enhancing of the Veterans Freedom Park. We rely solely on donations, and the two events we host each year to keep the park opened and maintained. Time remaining until brick orders are required to be placed (July 31st 2019); to make sure your brick is installed by Veterans Day. 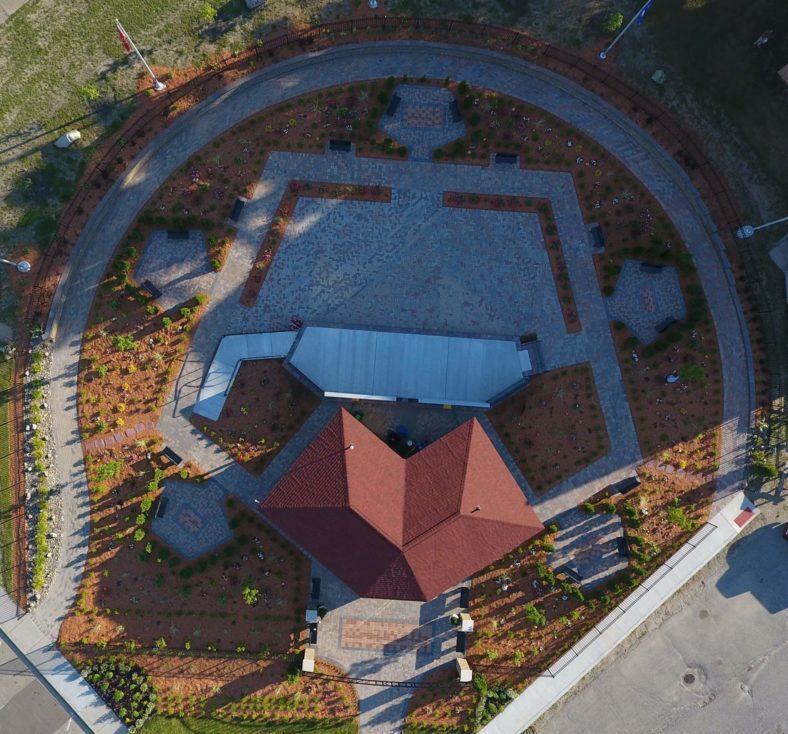 It's not too late to be a part of history with the Veterans Freedom Park. Buying a brick is the one gift that truly keeps on giving. This veterans’ park is conveniently located in Central Michigan; at 200 W. Main Street, in Harrison, MI. This is across from the Clare County Courthouse, on Harrison Community School property. This Park honors our nation’s heroes and educates our students and the public on the continued sacrifices that our service men and women give for our freedom. This is our chance to give back to those that continue to sacrifice the most, and ask for the least. There is a unique education opportunity with a welcome center that will hold military artifacts and a walking trail that surrounds the pentagon shaped park, with side areas dedicated just for the war eras. It is our mission to make this a place like no other to ‘Remember, Honor and Reflect’ on the great sacrifice that our past and current service men and woman have made. We can always use your support! If you would like more information or would like to donate or host a fundraising event please contact us. Thank you for your support!! The “Wall of Tears” was unveiled at the Grand Opening of the Veterans Freedom Park, on Wednesday, May 25, 2016. This is the main focal point of the park, as this is located on a permanent stage that overlooks the park itself. This is a 47-foot long black and gray granite wall. The wall has 301 names hand-engraved of those killed in action from WWII to present from Clare, Gladwin, Isabella and Midland counties. The names were read at the Grand Opening ceremony, and a bell was rung in their honor. Thank you to all who joined us in honoring all veterans, and those that have given the ultimate sacrifices for the privileges that we enjoy today!